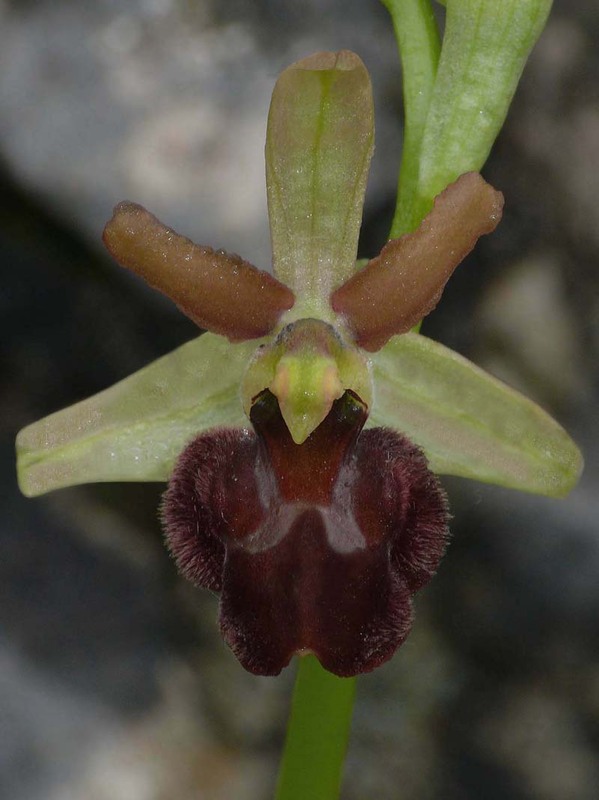 O. majellensis was first described from Abruzzo, Italy in 1997 and takes its name from the Majella massif that lies within the Mailla National Park. 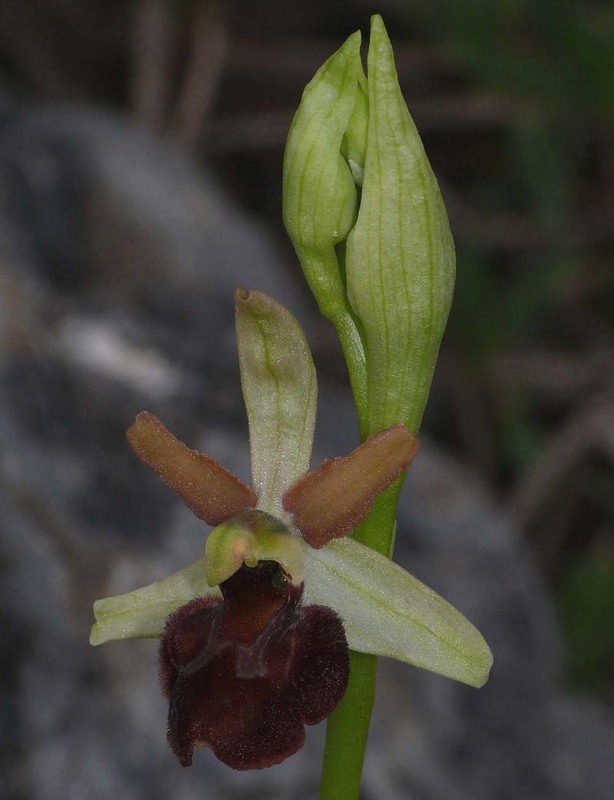 It is a member of the O. sphegodes group of Ophrys, endemic to central Italy and notable for the late date of its flowering, often still in bloom by the end of July. This lateness probably accounts for one of its most characteristic features, this being its height, which on occasion can reach not far short of a metre. It is thought that this elevation is needed to keep its head above the surrounding grass, which by June has become tall and rank. Despite its height, O. majellensisis few flowered (up to 6) and this results in the large individual flowers being widely spaced up the stem, thus producing a very distinct leggy appearance in the mature plant. 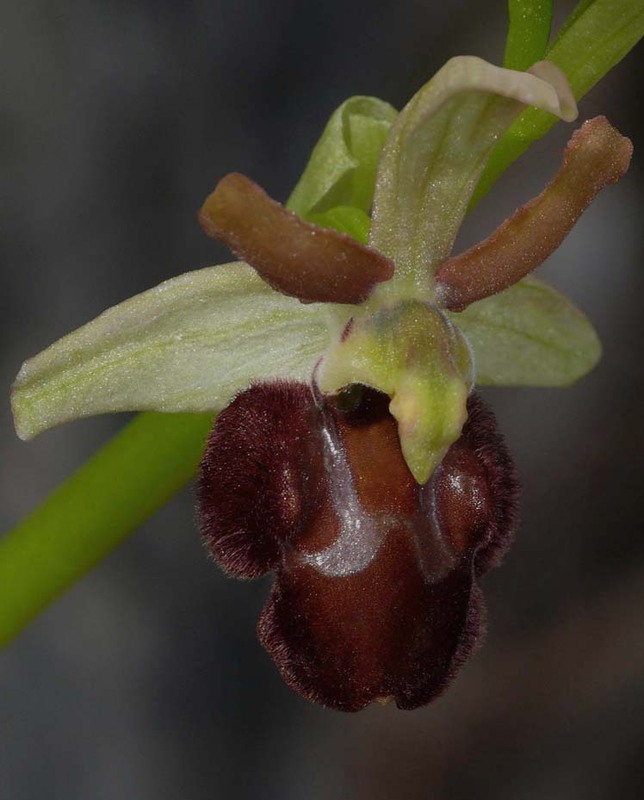 The sepals are always uniformly green but the petals which can be relatively long, are invariably darker and frequently a contrasting brown or reddish colour. Basal swellings can vary from small to moderately prominent and the lip may be entire or three lobed. The basal field is always a shade or two lighter than the centre of the lip and the stigmatic cavity is broad but strongly constricted at the base. 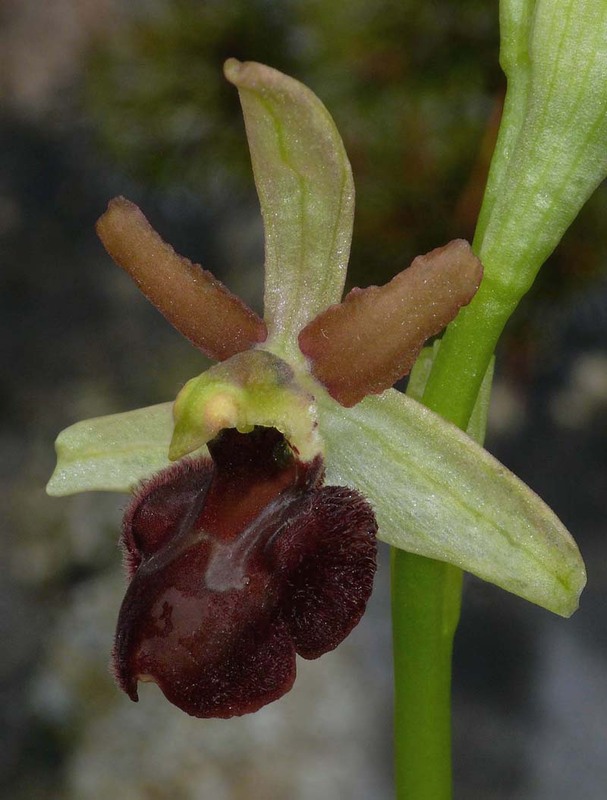 O. majellensis first appears in June, though in exceptional cases it can be found in late May, as was the case with the examples depicted here, which as can be seen, were producing the first of their flowers. The flowering period carries on into July but the later flowering plants tend to be short lived due to dessication by increasing summer temperatures. The pictures come from the south east of Tuscany.